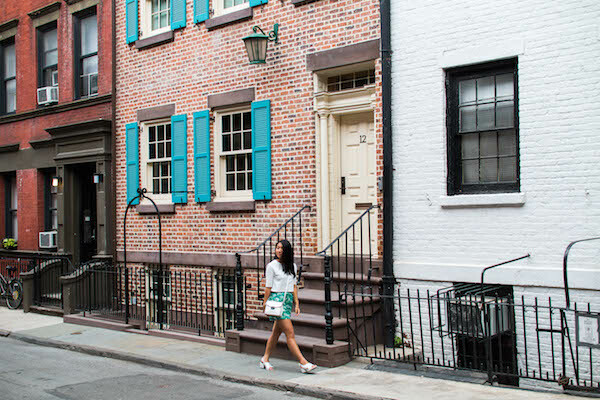 The West Village always feels like a brief escape from the city. 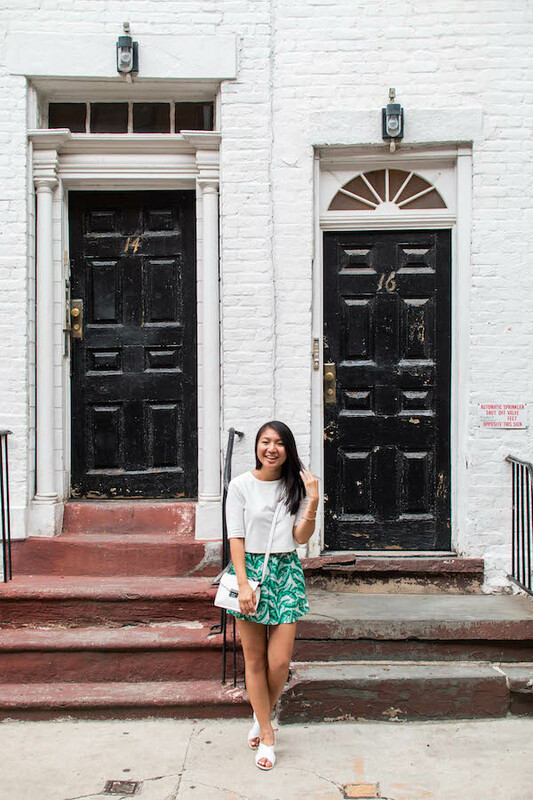 As a student of Midtown Manhattan, I love heading down a few stops on the 1 train to this area of small coffee shops and colorful brick apartments. 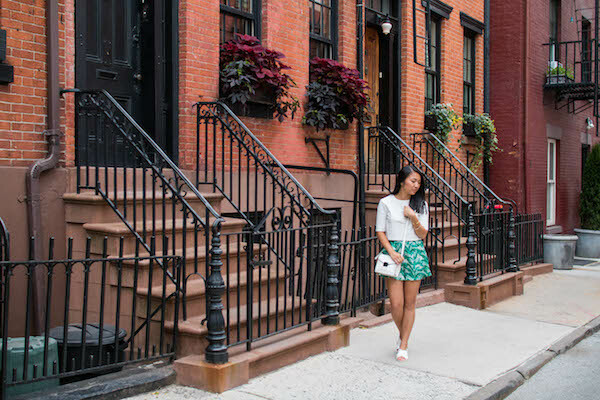 It is one of the few neighborhoods in New York where I don't feel the stress of the city hustle. We all need that sometimes. 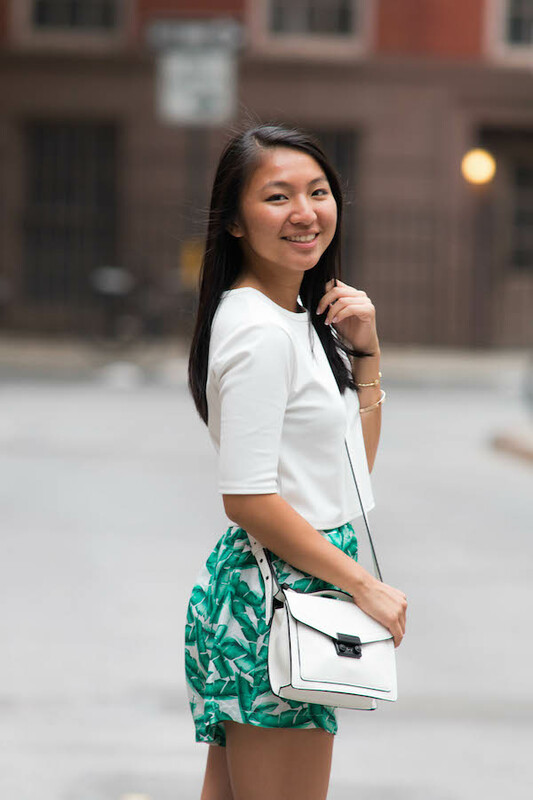 These photos were shot by my new friend Arnold on a beautiful day in the city, where we spent a majority of the time just strolling through the quieter downtown streets. 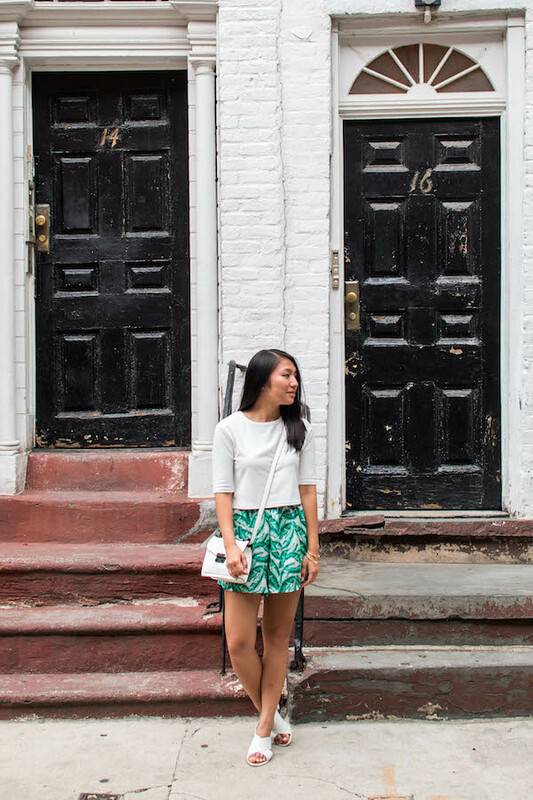 All that Vitamin D had me channeling the beach with my favorite palm tree print shorts and all-white pieces to match. 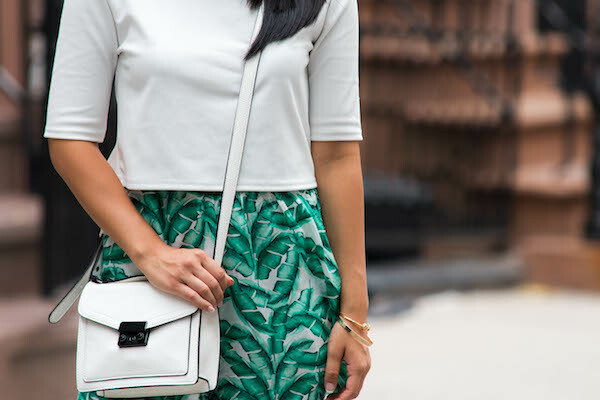 You can always count on a statement print to make those comfortable pieces city-ready.